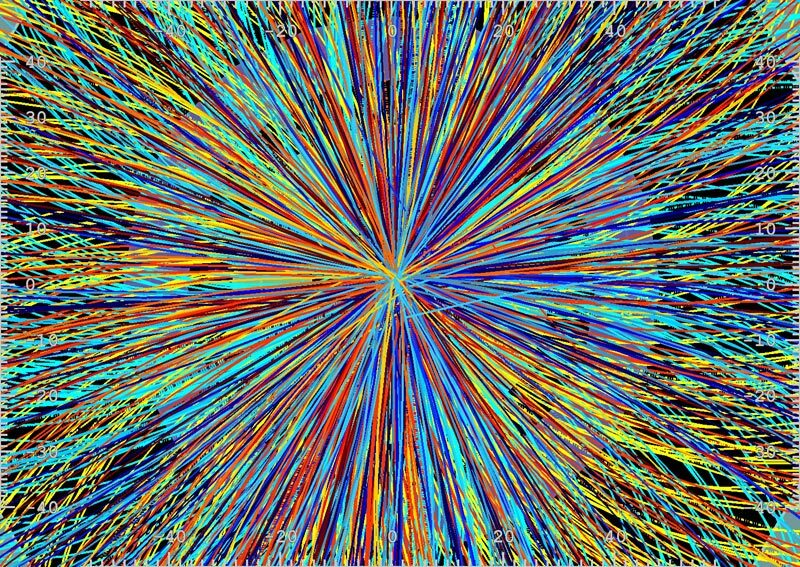 Colliding lead at the LHC: is a superconductor lurking? In just over a week scientists will celebrate the centenary of superconductivity: the discovery, in 1911, that some materials cooled towards absolute zero allow electric charge to flow without resistance. But now one physicist believes superconductivity can appear when there is no material at all. According to Maxim Chernodub of the Université François-Rabelais Tours in France, superconductivity can appear – provided there is a very strong magnetic field – in the vacuum of empty space. If Chernodub is correct, the phenomenon could explain the origin of the extensive magnetic-field patterns seen in the cosmos. "This suggested vacuum superconductivity is very unusual," he says. "It has a few crazy properties that do not exist in 'normal' superconductors." In normal superconductors, charge flows without resistance because all the charge carriers – that is, the electrons – "condense" into the same state. Physicists explain this behaviour with so-called BCS theory, which describes how electrons move through the superconductor's crystal lattice. When one electron moves, it distorts the lattice, attracting positive charge. The next electron is then attracted to this positive charge, and so becomes paired with the first electron. Together, all the paired electrons form a condensate that moves as a single entity. Scientists have done a good job of explaining the physics of normal superconductors, like lead, which must be cooled close to absolute zero in low magnetic fields. But there are also superconductors that exist at relatively high temperatures of 30 K or more, and for these physicists are still working on a proper explanation. In a paper soon to appear in Physical Review Letters, however, Chernodub contemplates a type of superconductivity that might be the strangest yet. Unlike previously known superconductivity, it would survive at very high temperatures, perhaps billions of degrees. It would also exist alongside strong magnetic fields and, perhaps strangest of all, it wouldn't need a material to exist – just a vacuum. How can superconductivity arise from nowhere, when apparently there aren't even any charge carriers? In fact, even the purest vacuum contains charge carriers. According to quantum mechanics, the vacuum is a soup of "virtual" particles that momentarily pop into existence, such as quarks and antiquarks. An up quark and a down antiquark can bind to form a positively charged rho meson, but the meson is normally so unstable that it decays. Chernodub thinks that in a strong magnetic field the quarks would be forced to move only along the field lines – and this would make the rho mesons far more stable. In addition, the rho meson's own spin would interact with the external magnetic field, lowering the particle's effective mass to zero so that it can move freely, as in a superconductor. Chernodub's calculations, which are based on a well-known model in quantum chromodynamics (QCD), suggest the external magnetic field required for this superconductivity must be at least 1016 T.
That's a very strong field. The best magnets on Earth – which, perhaps ironically, use superconducting coils – can achieve fields approaching only 30 T, while the most magnetized objects in space, which are a type of neutron star known as a magnetar, probably reach fields of a mere 1010 T.
Yet Chernodub believes proof of his prediction could be found close to home at the Large Hardon Collider (LHC) based at Geneva, or the Relativistic Heavy Ion Collider (RHIC) at Brookhaven National Laboratory in New York. 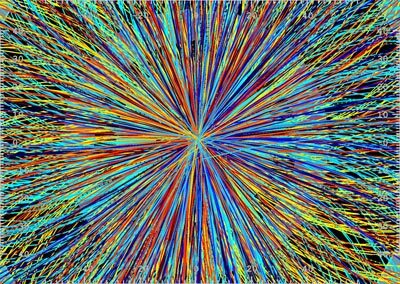 Last November the first lead ions collided at the LHC. Because such ions are moving, they create magnetic fields, and Chernodub thinks that a "near miss" between two of them might – for perhaps just one yoctosecond (10–24 s) – generate a field at almost the required 1016 T. If vacuum superconductivity does arise at the LHC or the RHIC, he expects it would leave a trace of charged rho mesons. "How realistic this is, I cannot really tell at the moment," says Igor Shovkovy, an expert in QCD at Arizona State University in the US. "One of the complications in high-energy collisions is a very short duration of the magnetic fields generated by the passing ions or protons. The other is the difficulty of extracting unambiguous signals that would single out this phenomenon from among others." Volodya Miransky, a particle physicist at the University of Western Ontario in Canada, calls Chernodub's prediction an "interesting idea" but adds that "the question whether one can observe this effect is open, I think, and this possibility deserves to be studied". Vacuum superconductivity might not always need particle accelerators, however. Chernodub thinks the early universe might have had sufficiently strong magnetic fields, and that the subsequent super-currents might have seeded the mysterious large-scale magnetic fields seen across the universe today. "It sounds like a crazy idea, but what if it is true?" he says.